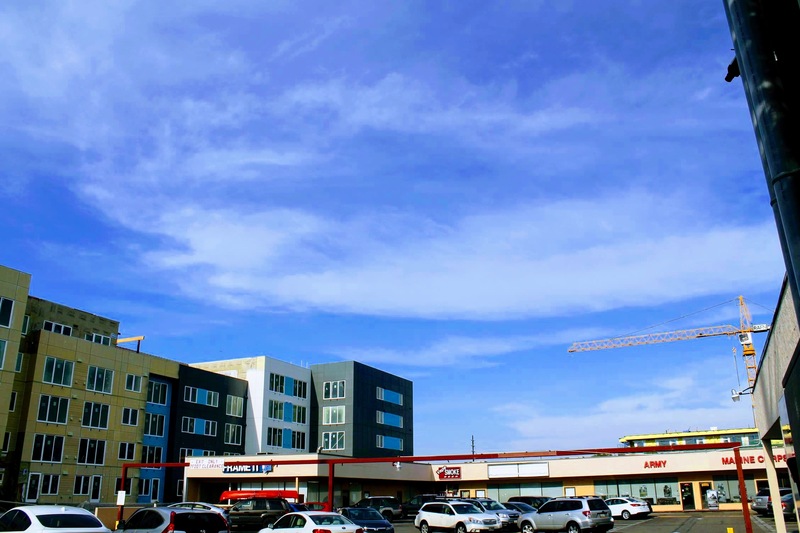 For many years Northgate enjoyed the convenience of having both of the big name wine and beer outlets right next to each other. Being able to easily walk between BevMo! and Total Wine in the same trip was a magical thing for anyone who anxiously awaited limited availability beer, wine, or spirit releases. Of course, one-day several months ago, this duo came to an end, leaving only Total Wine - which sits at the bottom of an apartment complex, left in-tact. 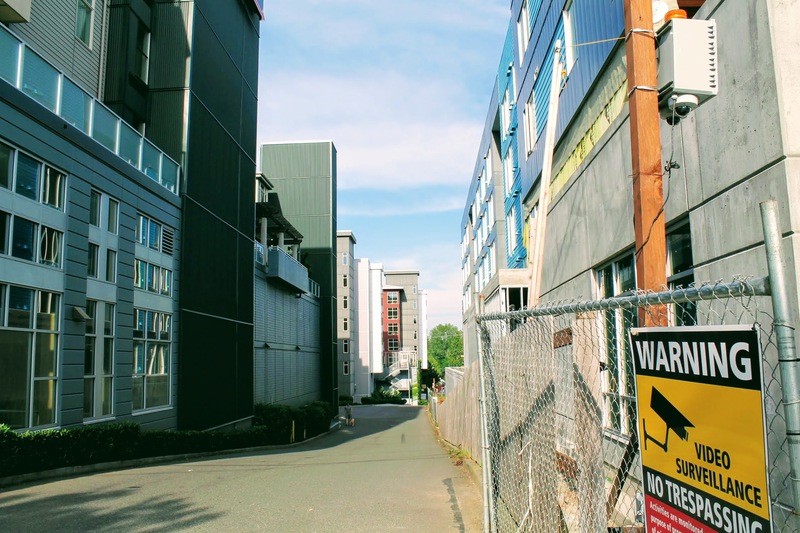 The transit-oriented development, temporarily paused, has come back in full swing with a new RFP based on free land from King County and an upzone to allow up to 24 story buildings promised by the end of this month. 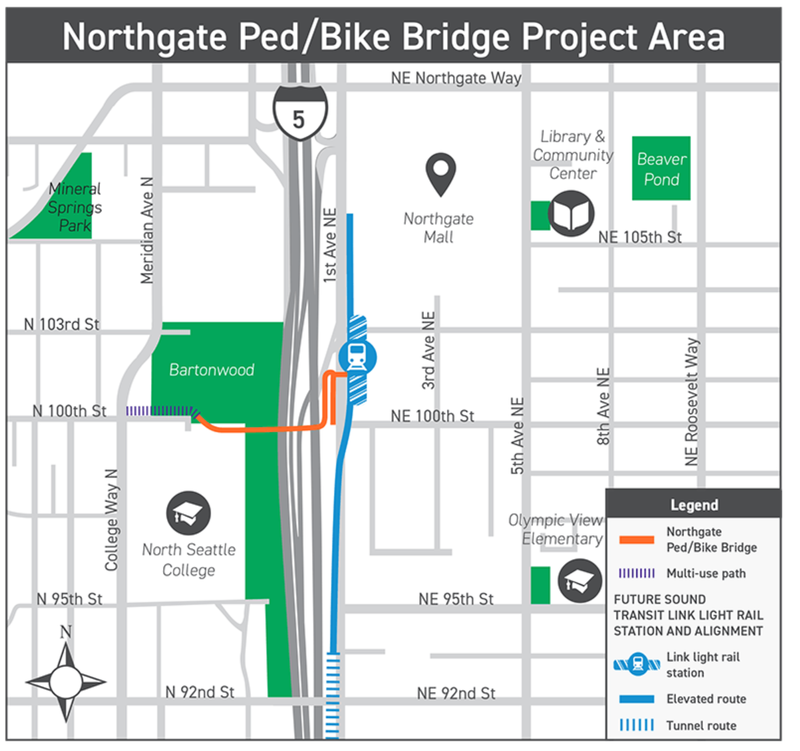 And finally, concerns over future of the Northgate Pedestrian bridge which will connect Licton Springs directly to both the developing Light Rail and Downtown Northgate, have been alleviated after the Seattle Colleges Board of Trustees conditionally agreed to give an easement to the new bridge. The latest plans for which, will have the new bridge/path only a ~5-10 minute walk away from Oak Tree Plaza. 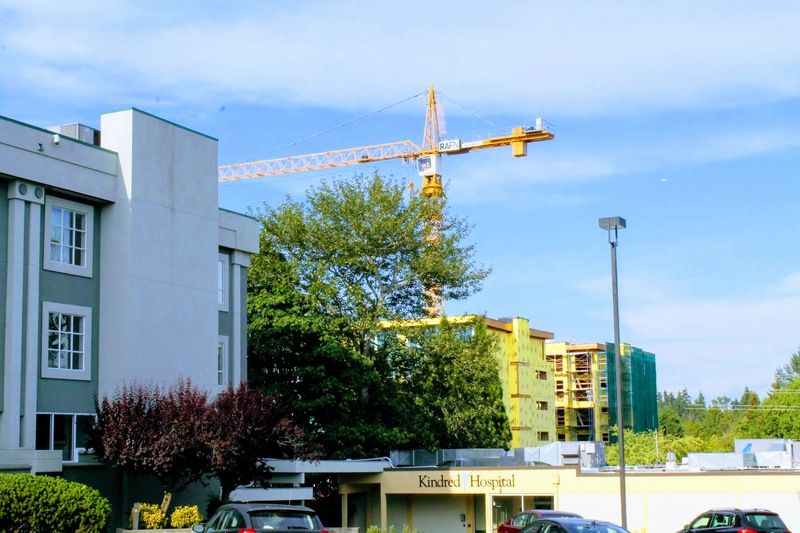 No matter how you feel about the developments overall, hopefully, this all will lead to a North Seattle that feels more connected both to Downtown Seattle and to the neighborhoods contained within.